Southwest's Amanda Sanchez (second from right) came on the Saints' radar because of her multiplicity of skills. Southwest center fielder Liz Phillips and right fielder Faith Aguilar in their pre-inning ritual, before the seventh inning in Game 2. 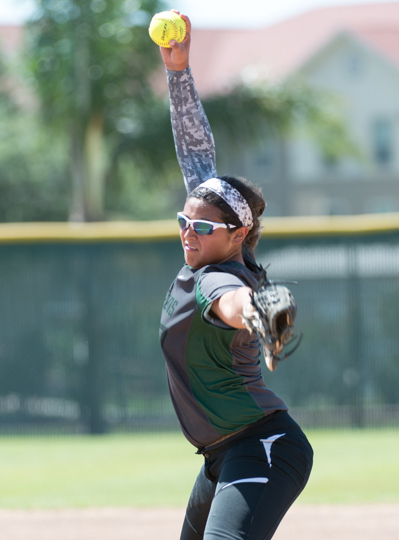 Dragons junior pitcher Caitilin Terrazas limited San Benito to one run over the last four innings. 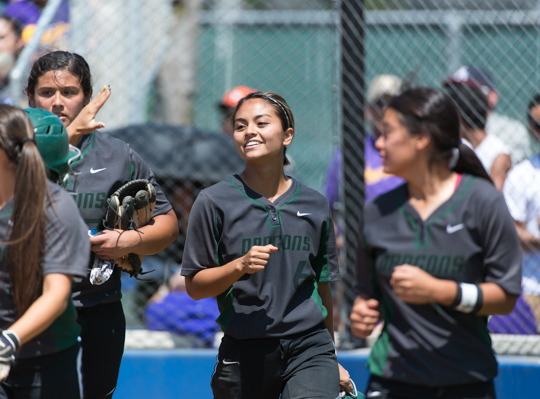 Teammates congratulate Gabby Flores after her three-run home run in the third inning. 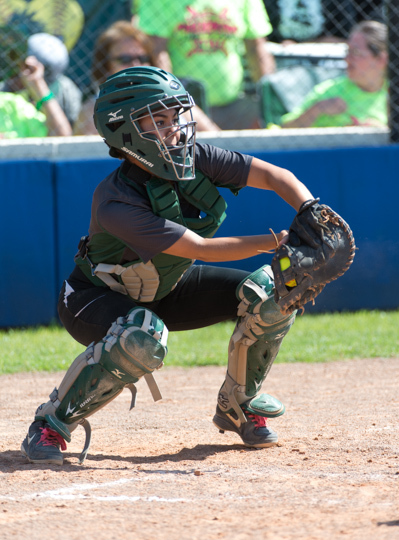 Dragons senior catcher Gabby Flores contributed an RBI single in the second inning. 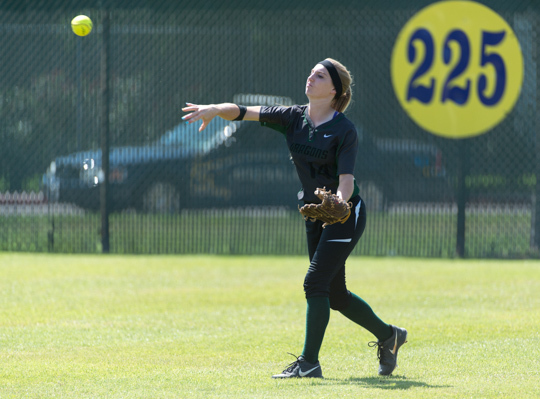 Liz Phillips delivers an RBI single to feed the Dragons’ seven-run, third-inning rally. 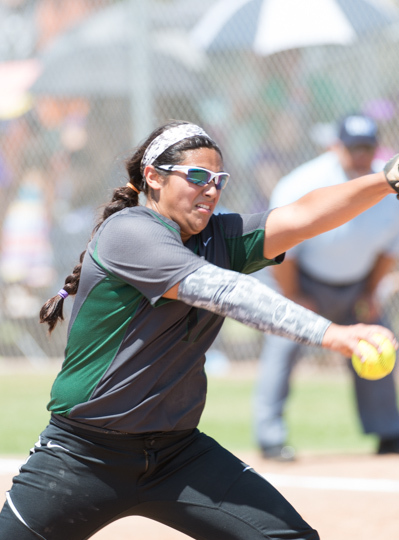 Southwest junior Caitlin Terrazas delivers a pitch against San Benito. 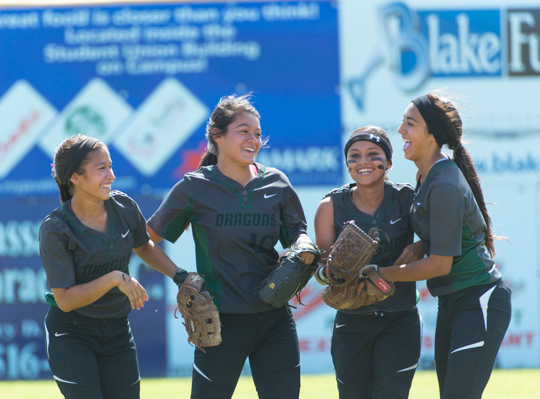 Kristal Salinas, Faith Aguilar, Amanda Sanchez and Yanira Fernandez (from left to right) share their enthusiasm over a remarkable catch. 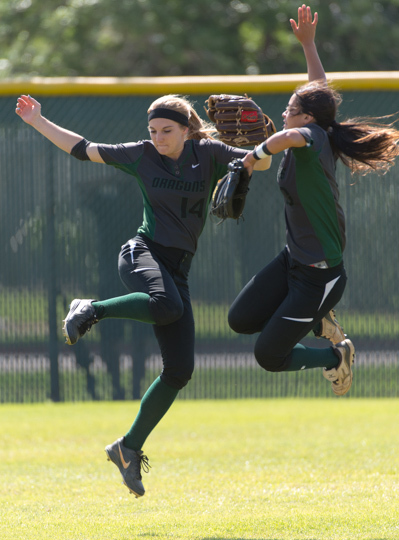 Salinas backpedaled to the outfield grass to corral the ball, but it popped out of her glove. Sanchez caught the ball in the air for the key out in the sixth inning. 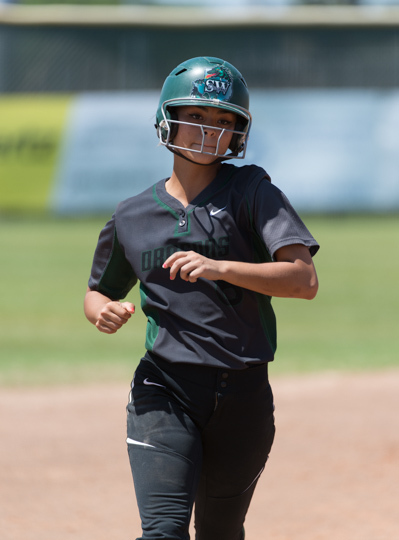 Gabby Flores heads for third base on her way to home plate after hitting a three-run home run. 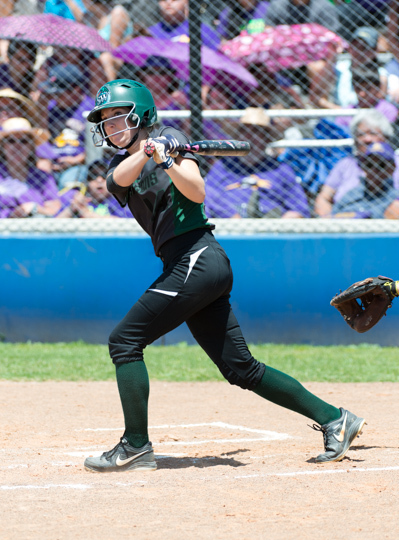 Southwest senior center fielder Liz Phillips broke out of a hitting slump in Game 1 vs. San Benito with an RBI double and 2-run home run. 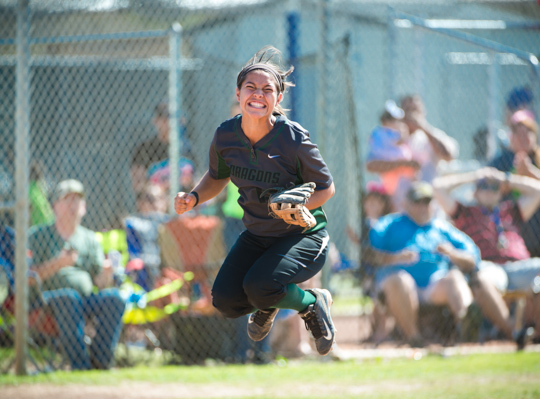 Southwest senior catcher Gabby Flores rejoices over the Dragons’ series sweep of San Benito. Harlandale vs. Veterans Memorial at Tejeda Complex, 1 p.m.